The HRDC will be staging a 61-minute race, augmented by a 30-minute qualification session, on the evocative Ardennes GP circuit of Spa Francorchamps, at the Spa Summer Classic over 15/16 June. - HRDC 'GRAND TOURING GREATS' for sub-1500cc, pre'66 historic GT cars. - HRDC 'TOURING GREATS' for pre-'60 historic touring cars. - HRDC 'TC63' for pre-'64, early Gp2-type historic touring cars. - HRDC 'GTS65' for over-1500cc, pre-'66 historic GT cars. - HRDC 'MGB50' for historic FIA-type MGB cars. Interest has been strong for this race and HRDC Race Director, Julius Thurgood, reports: "The quality of the entries received so far has been outstanding. The perception of the HRDC coming to Spa for the first time seems to have caught the imagination - not only of our UK competitors, but of several top European teams, which we are delighted to welcome to our race at this impressive event". 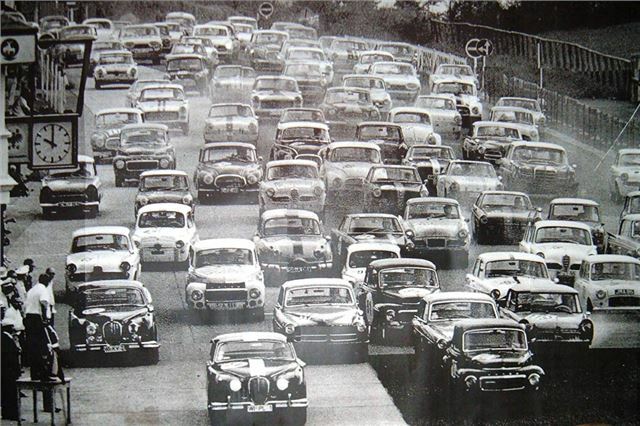 An added factor to the enjoyment of this race is that the HRDC has negotiated the much-welcomed convenience of its own designated paddock at Spa, complete with grandstand and camping facilities, plus the added bonus of direct access to all the major routes in and out of the circuit. The HRDC race will be held on Saturday 16 June, leaving ample time for HRDC competitors to take in the rest of the Spa Summer Classic programme on Sunday, or to get back to base on Saturday night and earn some Brownie Points at home! Either way, this will be a positively memorable weekend of historic racing! A transport facility from the UK to Spa (and return) for HRDC race cars is also offered and the HRDC has reserved two professionally-operated transporters for its competitors' cars at highly discounted rates. Entry forms for this race - plus information on all HRDC activities - can be accessed by going to: www.hrdc.eu.